The Online Roulette Craps Guide details the online playing options, tips and strategy for 2 casino games. Both games are played worldwide by passionate casino players; however roulette may have the edge in popularity. With that in mind, let’s begin with Roulette versions available online. The game-makers responsible for creating online Roulette have designed some unique and innovative versions for this popular casino game. Players will not be disappointed with the variety of choices and betting options. European Roulette: Bet on 1-36, Red or Black, or the columns. There's a single zero only in European Roulette translating to a house edge of 2.63%. American Roulette: Bet on 1-36, Red or Black, or the columns, however there are double zeros added to the table layout translating to an increased house edge of 5.26%. It would be wise strategy to only play at European tables online. 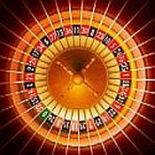 French Roulette is similar to European Roulette but with the added En Prison and La Partage insurance bets, meaning you can get half your money back if a zero lands. This is another player advantage and reason to play Europe all the way. Multi-Ball Roulette: you can play up to three balls on the same wheel at the same time. Multi-Wheel Roulette: this exciting option permits betting on up to eight tables at the same time. For this option, players bet on one table but every wheel counts. Live Dealer Roulette: Live betting is very popular and widespread online where players watch real dealers in action. In other words, you place bets on your computer that is then forwarded to the live roulette table in a casino. Blackjack, poker, baccarat and of course sportsbetting also provide live betting options. Spingo: Mix Bingo, Lotto and Roulette together and you get Spingo where your bets are placed on various colors while numbered Lotto balls are bouncing about. Players can bet on colors or numbers for added excitement. Play single-zero for low casino edge of 2.63%. Double zero Roulette has a 5.26% house advantage. Bet the player advantage en prison rule on even-money bets. When 0 comes up, your bet remains or is captured for the next spin. En-prison/surrender on even money bets reduces casino edge lower to 1.35%. Spin for profits and don’t forget progressive betting—upping your bet after each win. The 0, 00, 1, 2, 3: five-number bet has a large 7.89% casino advantage. Avoid this bet. Make a series of pre-determined bets rather than betting all over the table. This Online Craps Guide begins with craps versions online, followed by tips and strategies. Generally, craps game rules online are the same as practiced at casinos worldwide. However, there are minimal differences depending on the internet casino. Following are some additional bets rarely found in land-based casinos. One betting option reserved for online craps is the Place Bets to Lose. These bets are the opposite of Place Bets and win if a 7 is rolled before the point. The house advantage for these bets range from approximately 1.8% to 3%. The reasons these bets are offered online is that the software allows it and at land-based casinos, it would be time-consuming and upset other players – something that is not a problem for online craps. Another craps variation is the procedure to pay commission for Buy and Lay bets. If you like playing these bets, it is worth viewing the rules before you play as the various casinos all seem to do this differently. Craps Software Providers are well known and provide online gaming software for multiple games other than craps: Cryptologic, Microgaming, Net Entertainment, Playtech, Realtime Gaming and Vegas Technology. No physical dice to roll is a big negative if you like being the shooter and there is a lack of high limit tables of $1000 or higher. While there are obstacles to playing craps online, the benefits and easy access usually outweigh the negative. Additionally, should you lose interest in the game or hit a cold table, it’s a click of the mouse to change games. for new players and/or refresher course. There is also a Craps Betting Summary Chart that lists 30+ craps bets options for both Multiple Roll Bets and Proposition/Single Roll Bets to include Bet Name, Description, Pays and Vigorish. Keep your pass line or don’t pass bet to the table minimum; use progressive betting when taking or giving odds. That’s where the real money is won. 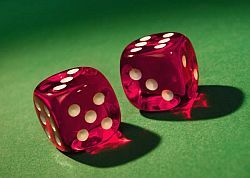 The Odds bets are determined by a probability chart and are based on 36 combinations a pair of dice can be rolled. For instance, the 7 can be rolled in six combos which is the highest combination probability. The 6 and 8 can be rolled in five combos, and the 5 and 9 can be rolled four combos, while the 4 and 10 can be rolled three combos each. Keep these numbers in mind, when placing your bets. Be sure to place correct amount on odds bets or casino pays only even money. 6 and 8=6 to 5 odds. Pays $6 for every $5 wagered. 5 and 9=3 to 2 odds. Pays $3 for every $2 wagered. 4 and 10=2 to 1 odds. Pays $2 for every $1 wagered. Therefore, placing the 6 and 8 is a good bet. Always repeat a winning parley bet. Don’t advance in your betting progression until you win two parlays in a row or win with odds. Don’t Pass/Don’t Come are excellent bets at a ‘cold’ craps table. Be wary about making field or proposition bets considering the long odds. Have Fun and Good Luck at the Tables!